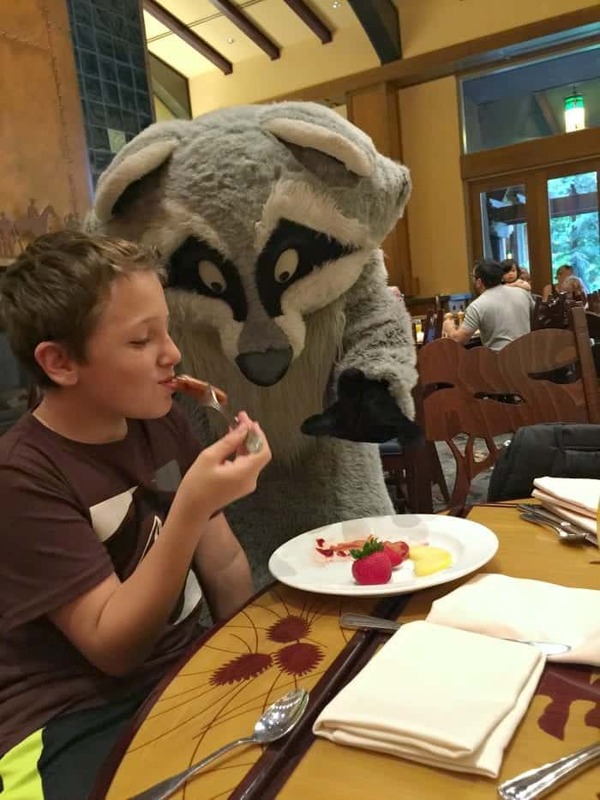 Sharing our review of Storytellers Cafe Mickey’s Tales of Adventure Breakfast Buffet at Disney’s Grand Californian Hotel and Spa. Such a fun dining experience. 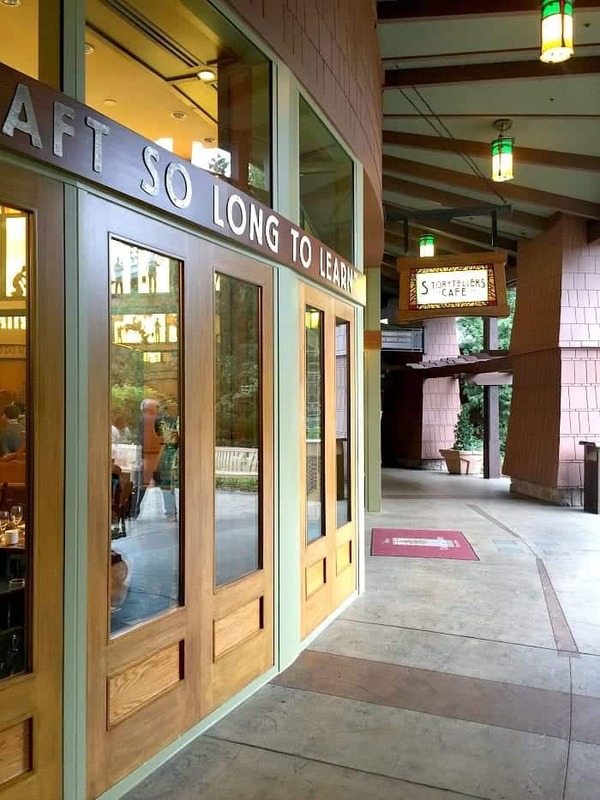 Storytellers Cafe is located in the Grand Californian Hotel and Spa with that awesome entrance into Disney’s California Adventure. 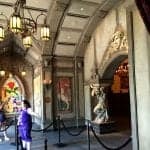 It is our favorite hotel to stay when we visit the Disneyland Resort. 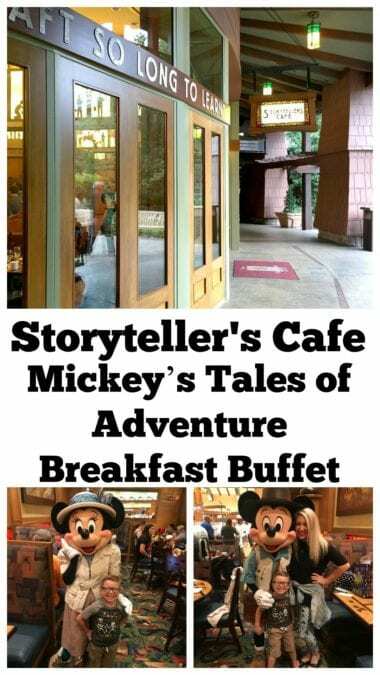 Storytellers Cafe offers the Mickey’s Tales of Adventure Breakfast Buffet. 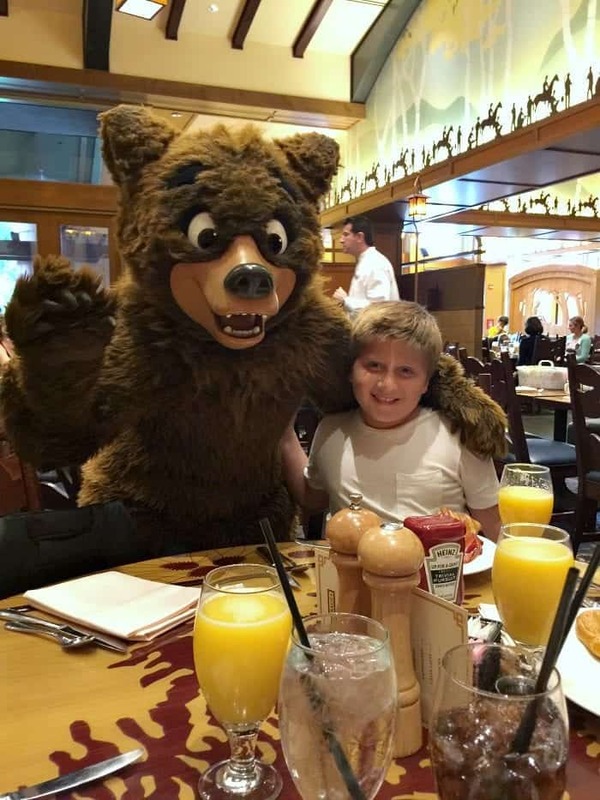 Note that only breakfast is a Character Dining experience. Be sure to get your reservations in advance for Storytellers Cafe. 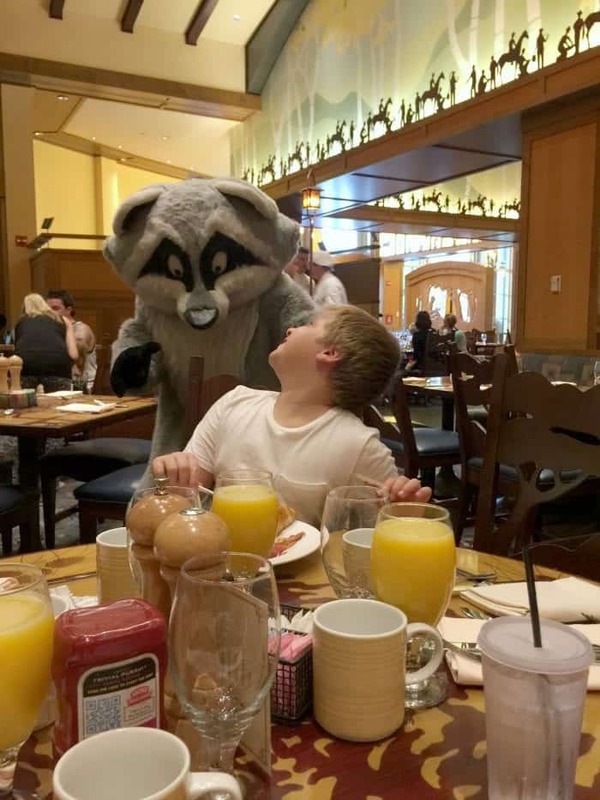 Character breakfasts are always popular with guests. We go online and reserve that way. Takes no time at all when you are logged into your Disneyland account. 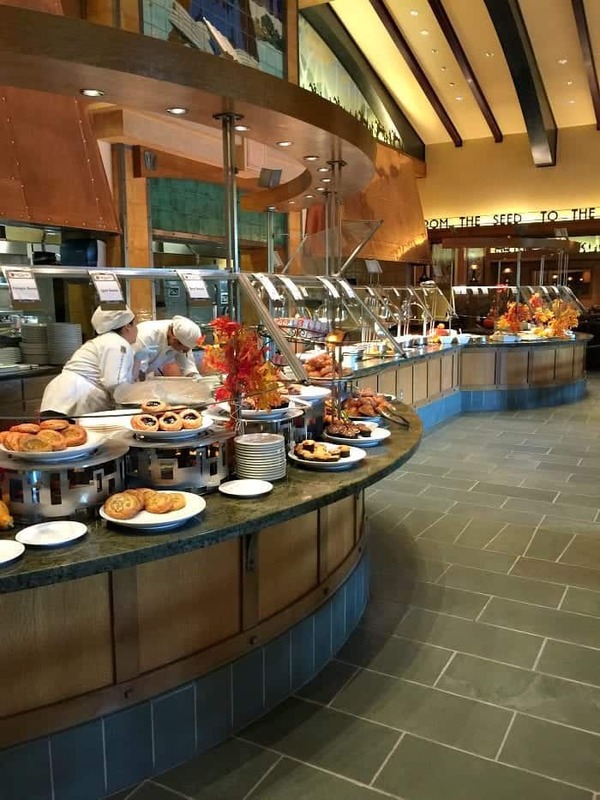 Storytellers Cafe has a gorgeous buffet area. Everything is carefully placed and the food looks fantastic. 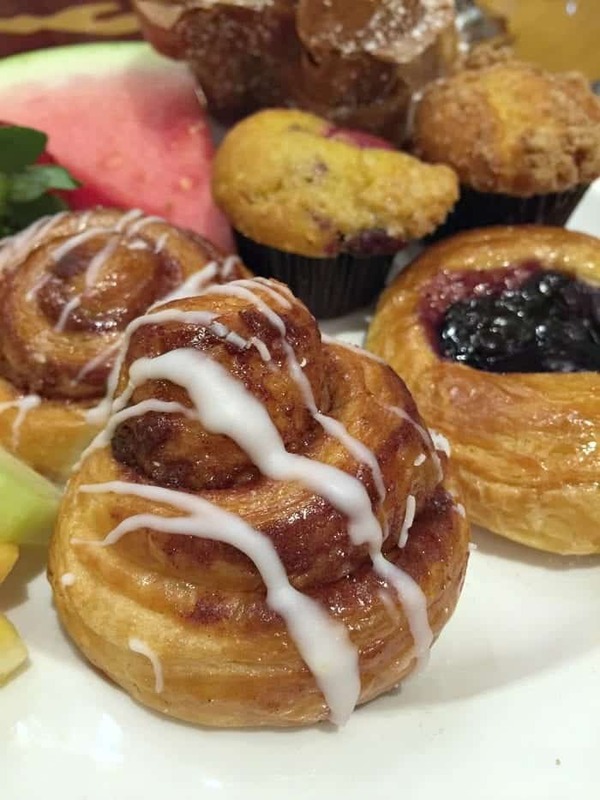 Pretty much anything you could ever want for breakfast is available. 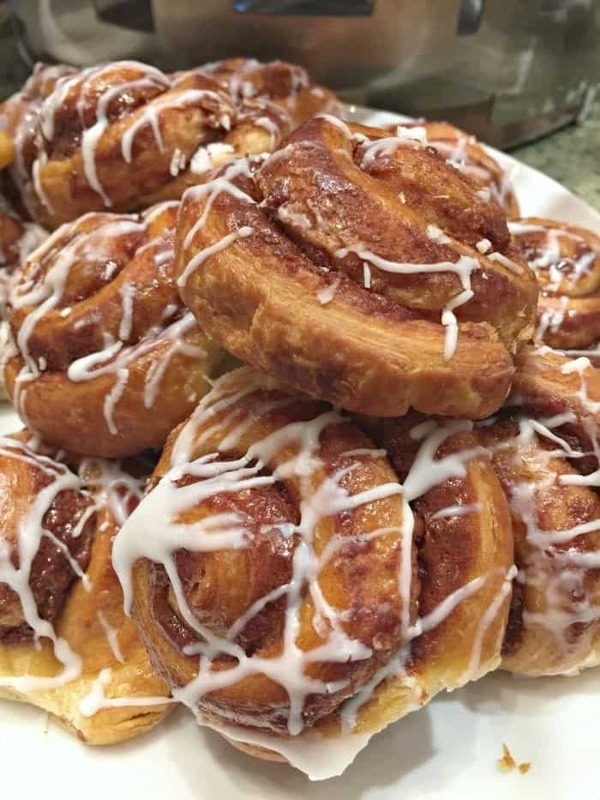 Made to order omelet bar, fresh fruit, Mickey Waffles, pastries, eggs, bacon, potatoes….get where I am going with this? It’s a feast! 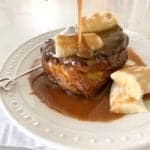 Anytime my husband and I decided to do a Character Dining experience with the kids, we plan on this meal being our main meal of the entire day. We choose a later breakfast so we don’t eat again until dinnertime. 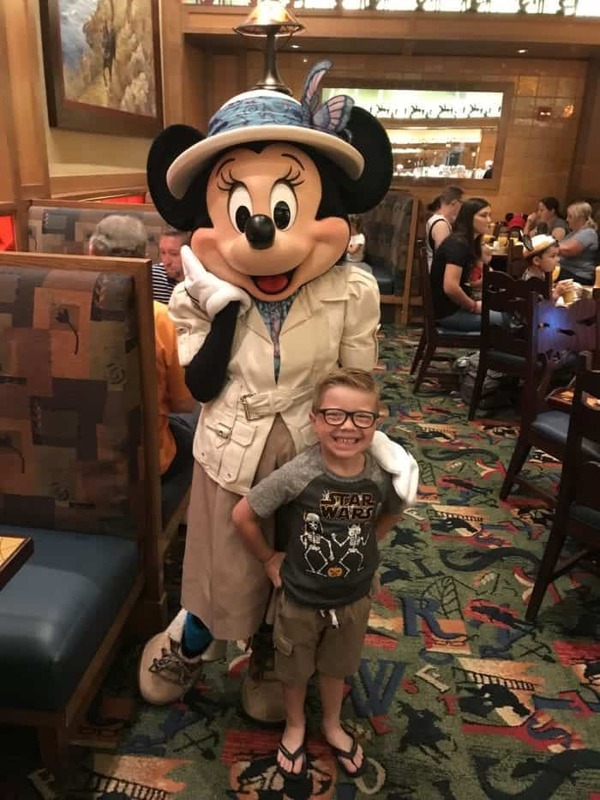 In 2018, Storyteller’s Changed from the Chip and Dale Characters to Mickey’s Tales of Adventure Breakfast Buffet. 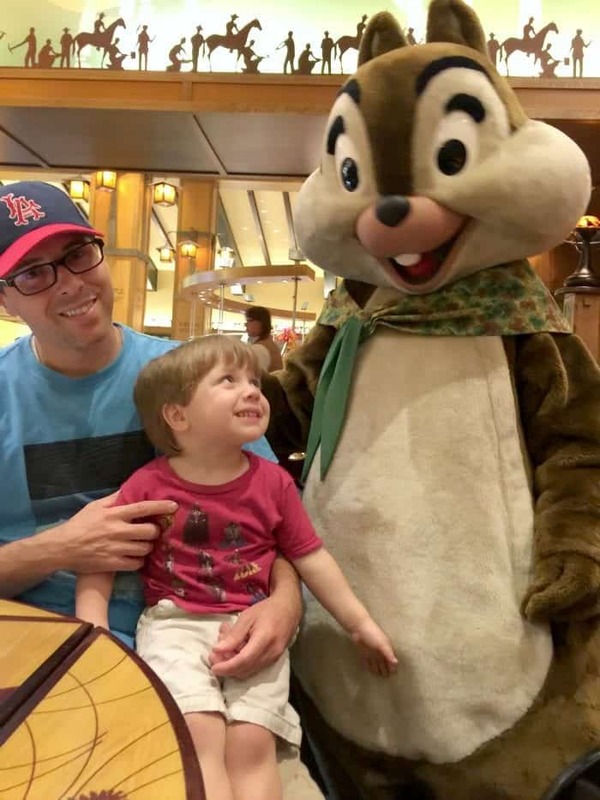 We enjoyed the Chip and Dale Characters (see photos below) but we also really enjoyed Mickey and his Pals with the new change. Pax and I got to visit October 2018 and had a blast together! 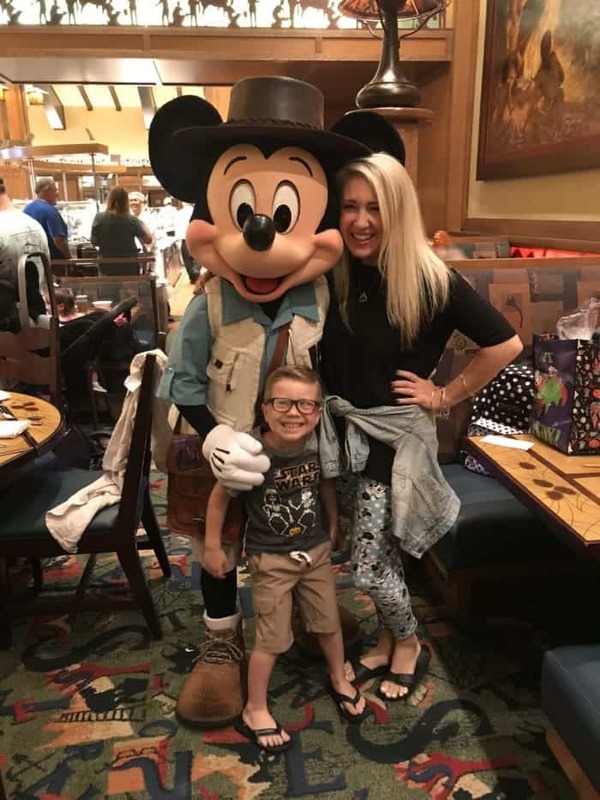 Mickey and his Pals dance around the restaurant and visit each guest for photo opportunities. I just noticed Pax did cross eyes here. Lovely Pax, ha! Minnie! You really can get as many photos as you’d like during this experience. 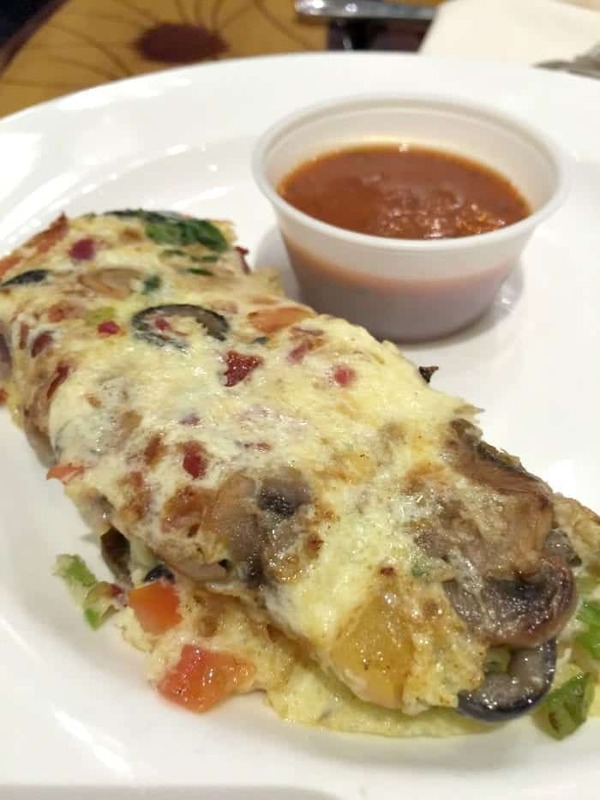 The made to order omelet bar is always my favorite. I love watching the Chef prepare my personalized omelet. 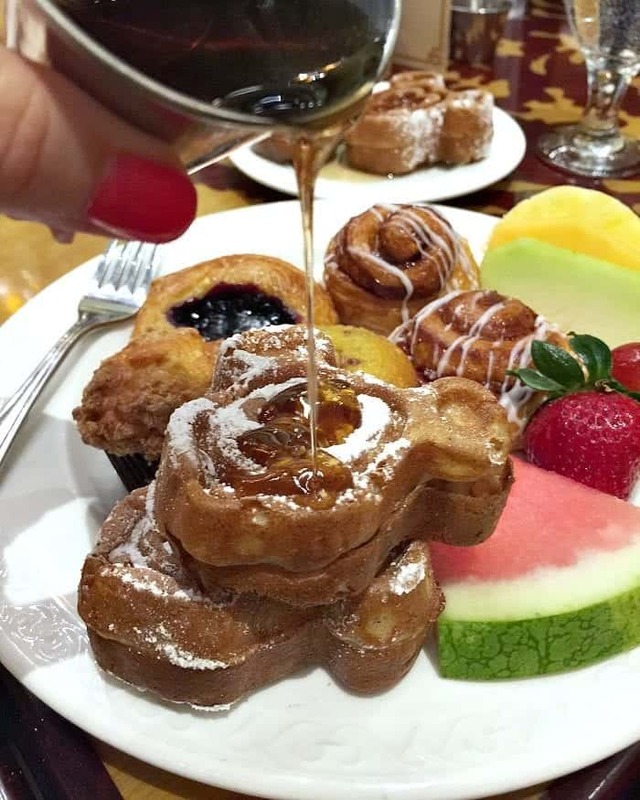 Mickey Waffles are my favorite, plus they’re adorable!! 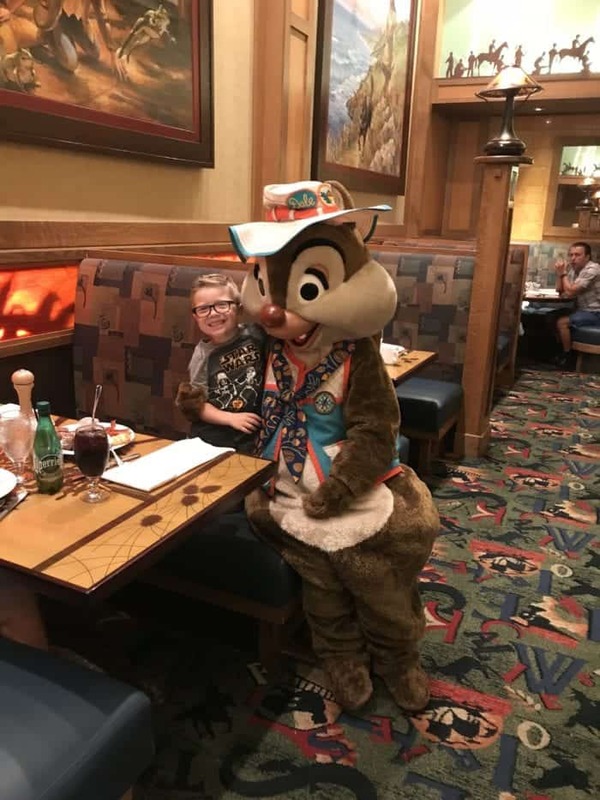 Fun memories when it was still Chip n’ Dale Critter Breakfast back in 2016 with my boys 🙂 The raccoon is hilarious. He kept sneaking up on my older boys trying to steal their food. It was awesome. 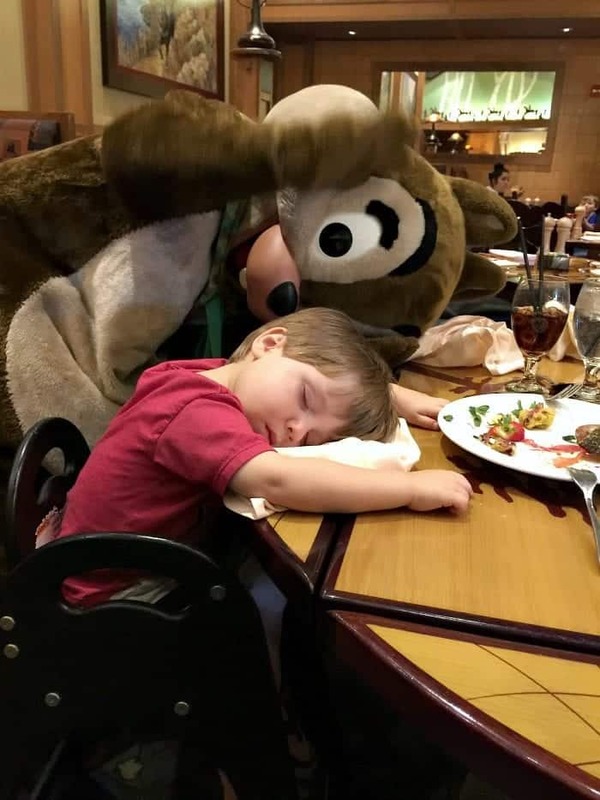 So much food and fun that Pax crashed out. What a fun morning! 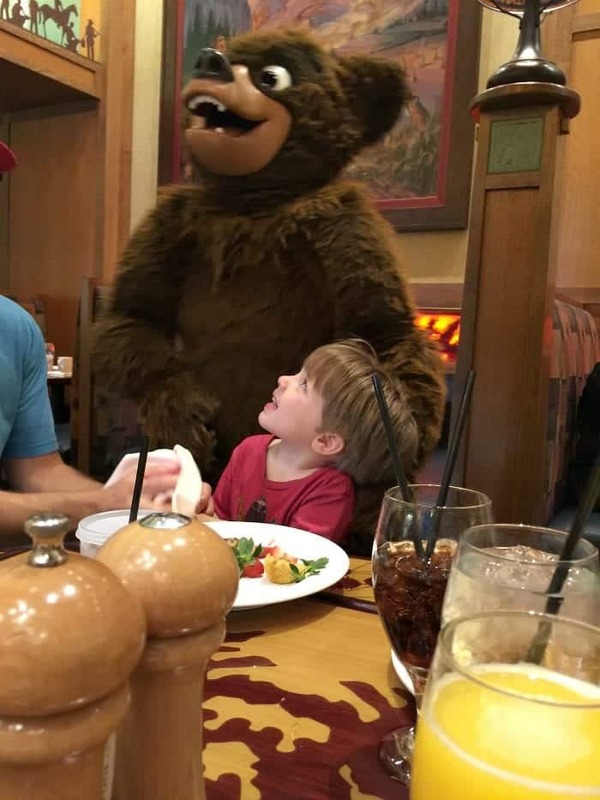 As a review, we really enjoyed our Character breakfast at Storytellers Cafe. 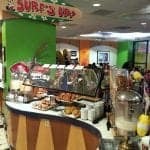 We also really enjoy Goofy’s Kitchen at Disneyland Hotel and Plaza Inn’s Minnie & Friends Breakfast at Disneyland Park. They’re all great, but each offer something a little different. 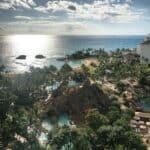 Hope you enjoyed our review and feel free to ask any questions you might have!